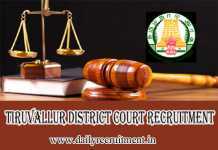 Uttarakhand High Court Recruitment 2019: High Court of Uttarakhand at Nainital invites offline application from qualified aspirants. 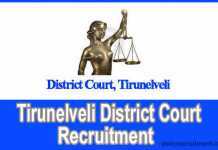 Recently it has released the recruitment advertisement for Additional District & Session Judge posts. As per the Uttarakhand High Court recruitment notification, totally 06 vacancies are allotted for this recruitment. Applicants who are seeking court jobs in Uttarakhand govt can use this chance. Eligible applicants should send the filled application form to given address. The last date for receipt of the application is 06.05.2019 (05.00 pm). 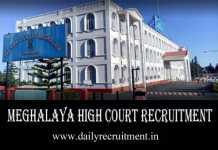 Uttarakhand High Court recruitment application form and notification is available in official website. Applicants must have completed degree in law from recognized university. Candidates age limit should be 35 to 45 years. Selection will be based on written exam & viva voce. Selected aspirants will be placed at High Court of Uttarakhand at Nainital. 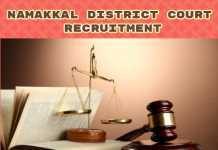 More details of Uttarakhand High Court recruitment vacancy, upcoming notices, merit list, selection list, admit card, result, upcoming notifications and etc. will be uploaded on official website. Applicants must have completed degree in law from recognized university. Candidates age limit should be 35 to 45 years. Selection will be based on written test (Preliminary Exam & Main Exam) & viva voce. Rs.750 for all candidates and Rs.500 for SC/ ST/ OBC candidates. Candidates should pay the fee through Demand Draft (in favour of Registrar General, High Court of Uttarakhand, Nainital). Go to official website highcourtofuttarakhand.gov.in. Click “Result/ Recruitment” find the advertisement “DIRECT RECRUITMENT TO THE UTTARAKHAND HIGHER JUDICIAL SERVICE-2019 (15-04-2019)” click on the advertisement. Applicants who have fulfilled the above eligibility, those candidates can apply to this job easily. 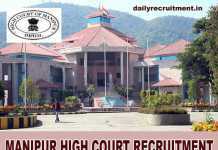 Do not miss the wonderful career opportunity in Uttarakhand High Court. Aspirants kindly watch this page regularly for upcoming changes in Uttarakhand High Court job 2019. For more accurate information about this Uttarakhand High Court job notification, check their official website.